Wow – for this Summer we are introducing this fantastic pendant. Handcrafted in the Cotswolds from the image of our own stunning Huacaya Alpaca. Well its busy busy and we have had the Canal Trust here this morning and Superheroes over the weekend. 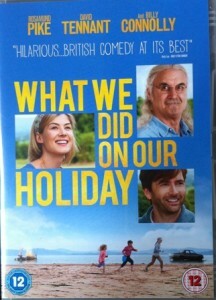 more on that another time. I was asked recently what fencing we used and it is X fence. we all know Alpaca can not only jump but they can scrabble over low fencing. Raindrops at last – boy do we need it for the Hay! well I have been quiet on the blog because I had all the paddocks to harrow and fertilise as well as the duck pens before the rain came and we made it!! just and today finally it has started raining. thank goodness as the ground for first crop hay really needs it. 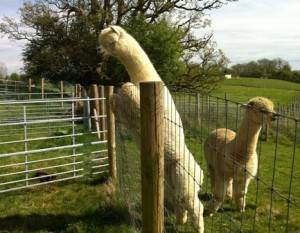 that is – um – an overweight Alpaca to the rest of us! Great for showing the ranges of weights though and happily pregnant so good for her coming out of the winter with a little too much flesh on her! Well actually I made that up but he probably does! I had to put in a bizarre blog tonight because I watched (several years late) two good films recently and wanted to share them with you. 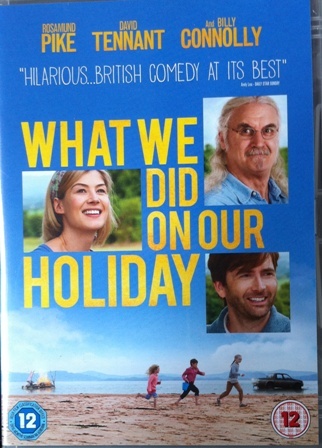 What we did on our Holiday, starring Billy Connolly which is fab fun for all and had us in stitches…. onwards and upwards and photos to follow soon if I get a chance to download! congratulations to Kath, one of my Alpaca friends who has had her first Suri Alpaca cria born. Regular readers have been asking about “Sliver Moon” the first cria born here this year. 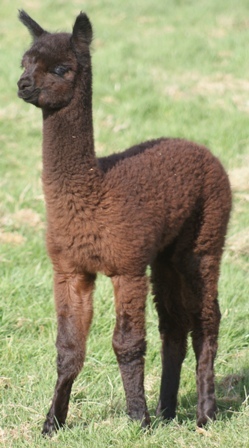 First Cria registered with the British Alpaca Society too! Anyway, he is doing fantastically well. out in the day and coated and barned at night now, changed from coated all the time. 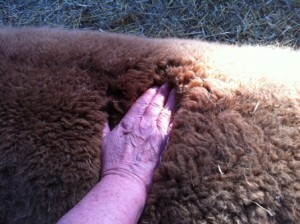 he has grown from his 12 inch cria coat into his third size which is 16 inches. That gives you some idea of how tiny he was. sunny days, Newlands and Lock House – no near neighbours! well it has been good weather this week and a bit stressful to say the least. My oven packed in. yup no oven all week as no time to sort. 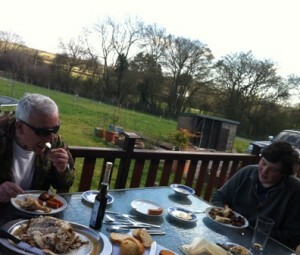 However, this week end we managed one meal outside together between Alpaca husbandry and farm work. ADE jabs this week too. With Newlands to the right a whole acre paddock away behind a shared tree belt – you can just see the white house peeping behind the trees in the distance. Photo taken this week end in April …so of course Newlands is totally obscured from us in the summer when the trees are in full foliage. A Doctor and his wife live there. … and Lock House some 200 metres away to the left … it was nice to sit down. Lock House is the old Canal Keepers cottage, extended with a flat roof. 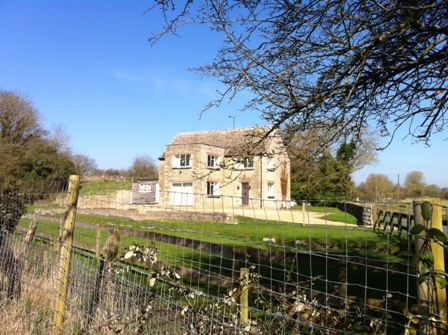 You can see from the photo it is immediately adjacent to the Canal Towpath Public Right of Way and is situated on the Cirencester Road. Pretty old house; you can see it on a drive by. nice to see some really blue sky. 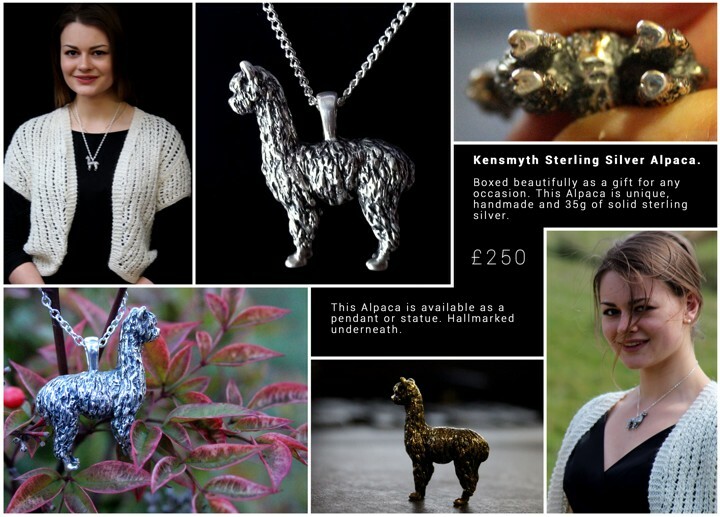 Exclusive Alpaca Boutique collection from Kensmyth launched today! We have been busy bunnies here and working hard with our stunning Alpaca fleece, hand producing our products. Many people who have small herds are not able to do this and also not everyone can knit, spin and crochet. We love it here! 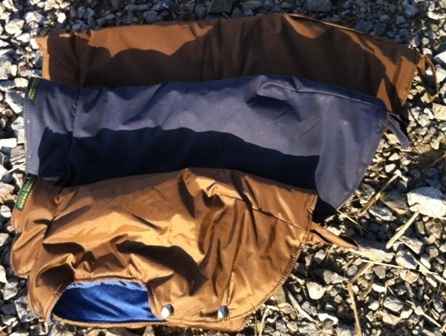 Hannah and Harry and Yannis our models used in the video have worked extremely hard too. We are delighted to introduce our new Boutique collection of 100% Alpaca handmade garments. Just choose an Alpaca Natural colour and have one made to measure!